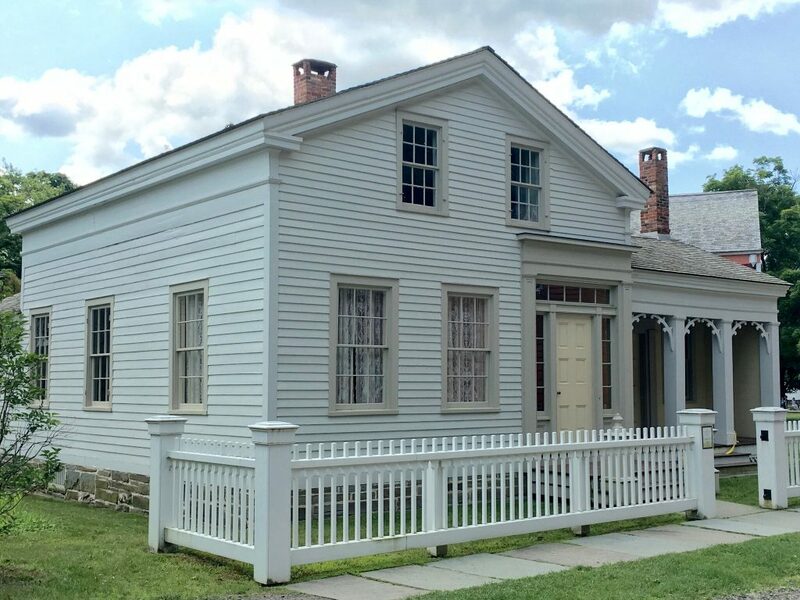 The Dimmick House was built in 1845 in the popular Greek Revival-style. In 1853, it was purchased by Hosea and Sophia Dimmick. 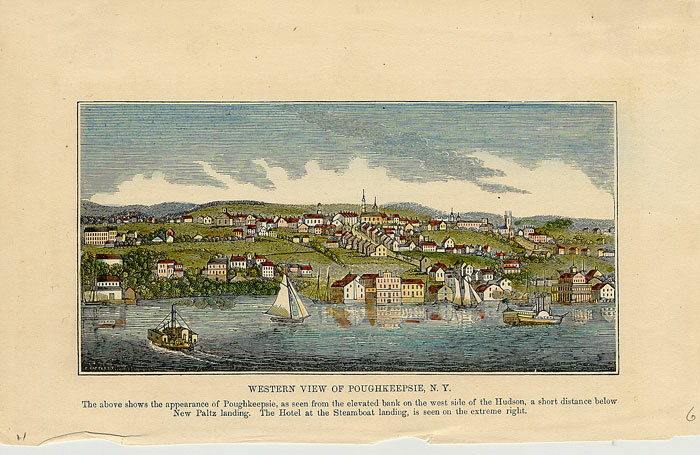 By 1845, the couple had moved to Norwich, New York, where Hosea worked as a lock tender on the Chenango Canal, guiding packet boats down the river and through the city. The Dimmicks’ home was located just a block from the canal, which opened in 1837. The canal provided a more efficient means of transporting goods and also drew new businesses to the area. Because of the canal and later the railroad, the Dimmicks had greater access to goods and technology as it became more readily available. Here at the Farmers’ Museum, the Dimmicks represent the new and growing nineteenth century middle class. Sophia and Hosea Dimmick, both born around 1810, witnessed much change in their lifetimes. They spent the early part of their life as farmers, and both worked to produce agricultural goods to sell. When they moved to Norwich in 1845, Hosea became a lock tender, and the family became part of a national trend where men worked at jobs other than on their property, and women took care of the home responsibilities. Women, in particular, focused on the duties of making their homes moral sanctuaries for their families. Men, on the other hand, focused more on the business world outside the home. For the first time, most middle class homes became centers of consuming goods rather than producing goods. As Hosea worked the canal locks, Sophia kept house with her daughter Frances, like most of the middle class women of the time. The Erie Canal opened in 1825 to much fanfare and celebration. This canal connected New York City and the Atlantic Ocean with the Great Lakes. This allowed agricultural and factory made goods to move with greater speed from one point to another. Canals created different opportunities to work outside the farm and home as Hosea Dimmick decided to do in 1845.